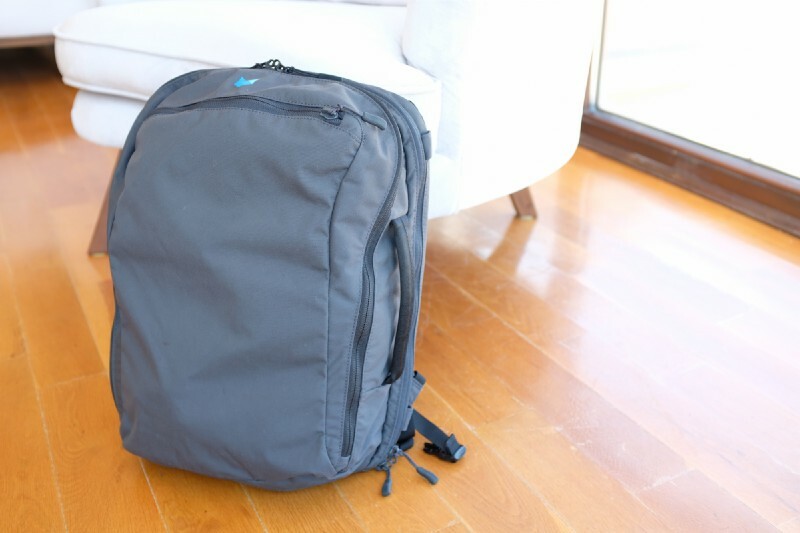 It’s time for another backpack review! This time I want to share my experiences and thoughts about using the Minaal Daily Bag. As some of you know, I use a bag extensively before writing down my thoughts on it. Using a bag is highly subjective, so something that applies to me might not apply to you! First, why did I picked this bag? 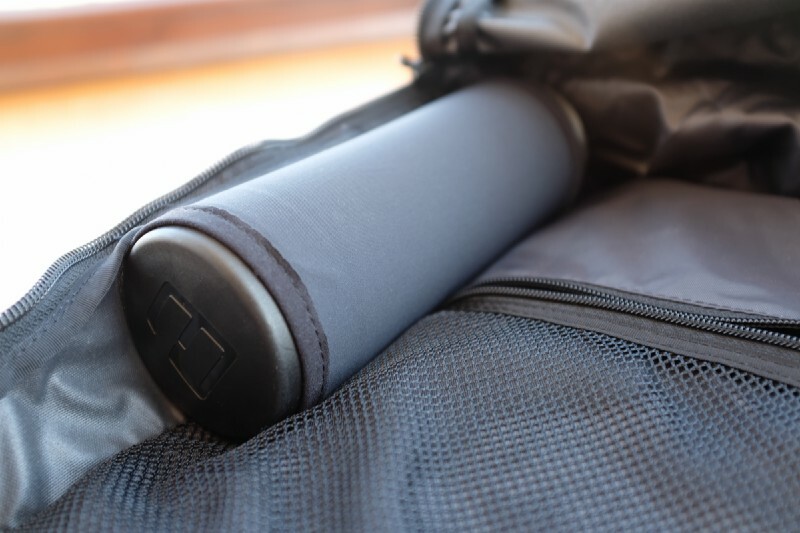 When I was kinda frustrated by my previous bag, the Goruck GR1, I’ve decided that I need something more lightweight but still able to use for travel and daily usage on my destinations. Upon some research I’ve decided to check the Minaal Daily Bag. 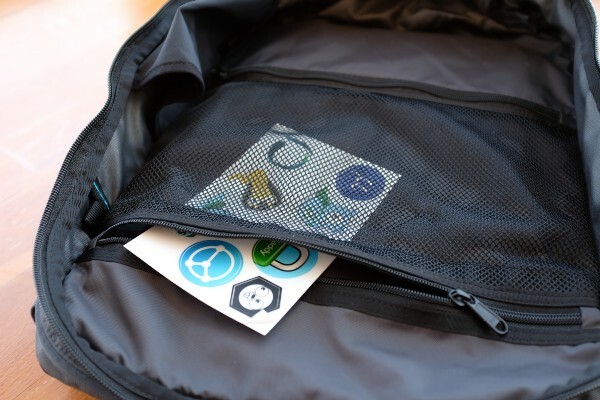 Minaal is very popular amongst one-bag travelers due their Carry On backpack. The Daily Bag was introduced later which is smaller than their carry-on bag. It costs $249 (shipping not included) and weights 0.98KG (2.16LB). 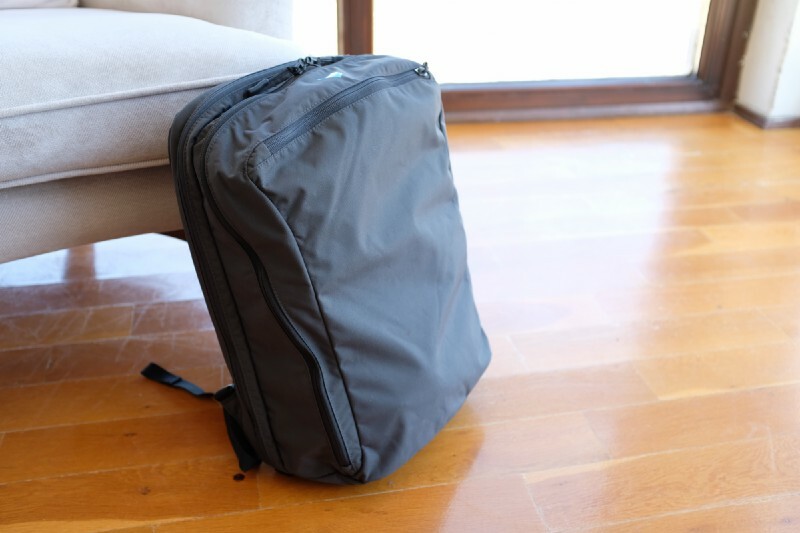 It can carry around 21L and can be stowed into another bag due it’s materials. The Minaal design language is all about minimalism. When you see it the first time you appreciate the light and simple design of it. You have the feel as if the bag is floating on its own. It doesn’t look like a turtle bag and definitely has a charm. It looks very unique and I think that really reflects the company’s vision. It only comes in one color. For the outer material 600D nylon is used. It’s very nice to touch and feels great. I feel like it’s going to last for a long time. Due the material it causes the bag look slim and clean. But on the other hand, if it’s not full, it will not keep its shape. For some this is important, I’ve found it ok so it was not a big deal at all. Also by full, I really mean you need to use all 21L’s it provides. If you don’t take benefit of it, it’ll will show wrinkles. One point I want to mention, in all the pictures I saw on the Minaal’s home page, I’ve not seen one single picture that shows the wrinkles in a clear way. When you look carefully you’ll see that all the pictures show the Daily bag only in it’s full form. I think this is an important aspect of the bag. Again it’s not a big deal, but this should be communicated to the buyer. For example, one of the other popular brands such as Tom Bihn provides an excellent and detailed overview of all the materials they use. Back to the look. Despite these small things, I believe that the Minaal Daily Bag is one of the best looking bags out there. It’s straight out of a **Star Trek **series. I think that was one of the reason I was in love when I saw this bag the first time. I’m a huge SciFi fan and I think this bag’s exterior design totally reflects the future. 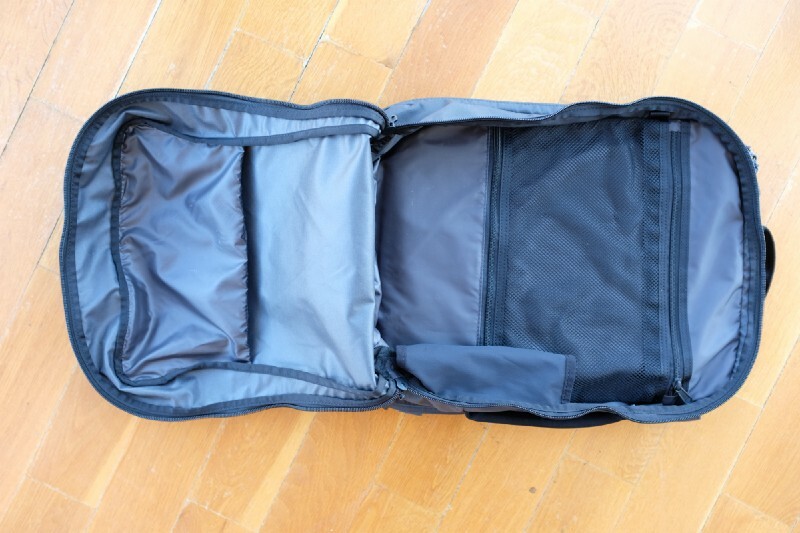 The Minaal Daily Bag opens flat, like a suitcase. 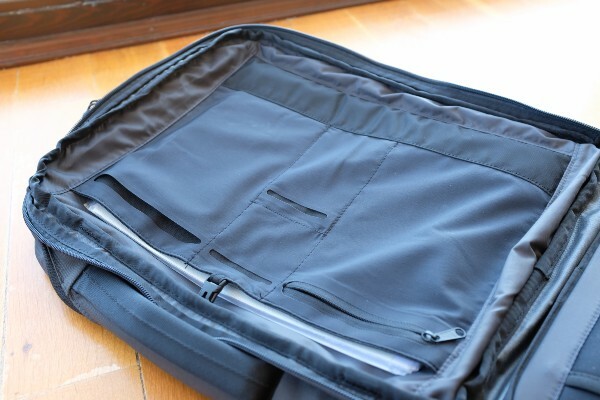 This feature is really worth when you travel a lot and use things like packing cubes. It’s easier to pack all you clothes as you have an overview of all the space. One thing to mention is that, if you have never used flat opening backpacks, it’s kinda hard to organize all your stuff in it. It’s perfect for packing and longterm travel, but not perfect for finding things and putting them back. If you think this is a great every day carry bag (EDC), it’s not. There are couple of small details though in the main compartment. First on the left side you can find a place to put your water bottle if you want. This is nice to avoid your bottle getting shifted around inside the bag. This holds it always vertical. But because it’s inside the bag it’s kinda hard to access it if the bag is fully packed. There are also loops inside the interior (four of them) which provides a way to attach their custom shirt protector if you wish. The reason for these loops is to avoid the protector sliding around inside main compartment and getting crushed by others. The reason you use a shirt protector is to avoid shirt wrinkles so this kinda makes sense. I have the shirt protector as well, but the problem I see is that the daily bag is not that bag at all, though I can see the value using it inside their bigger version (carry-on 2.0). Besides that, it has two internal pockets. One of the pockets is meshed which allows you see the stuff you put into it. However it doesn’t have depth so it’s not very convenient to put large 3d objects. Small things, such a MacBook charger works well though. The downside is that it’s kinda hard to use it once your bag is fully packed. How are you going to access those pockets? It’s kinda impossible. One thing I’ve loved in Goruck GR1 is that the pockets are not inside the bag, rather they are attached to the front compartment. These are not the only ways to organize your bag. There is another pocket outside the front compartment (which was also my most used pocket). Here , I would put my sunglasses, boarding pass, passports, etc.. anything I needed to access quickly. This pocket also had a really nice depth. It looks small but once you start to use it you’ll see how big it is. 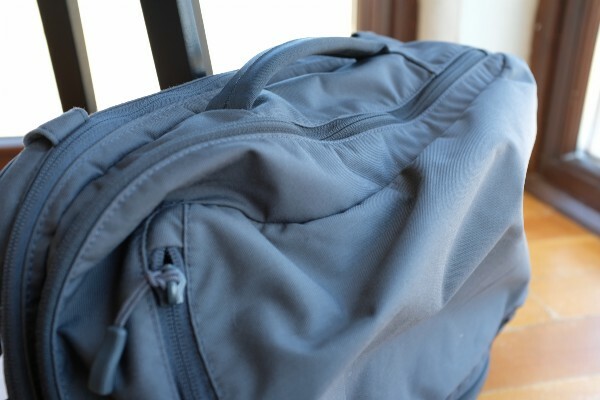 I don’t have anything negative to say, but as it’s a standard with all flat opening bags, if you fill this pocket, it’ll steal space from the main compartment. So if you have a full main compartment, it becomes hard to put things into it. 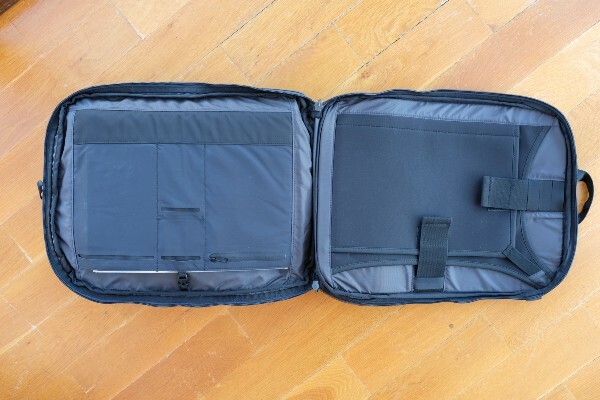 The laptop compartment can be opened flat as well. The left side is for storing documents and the right side is for storing your laptop & tablet. Let’s talk about the other compartment. 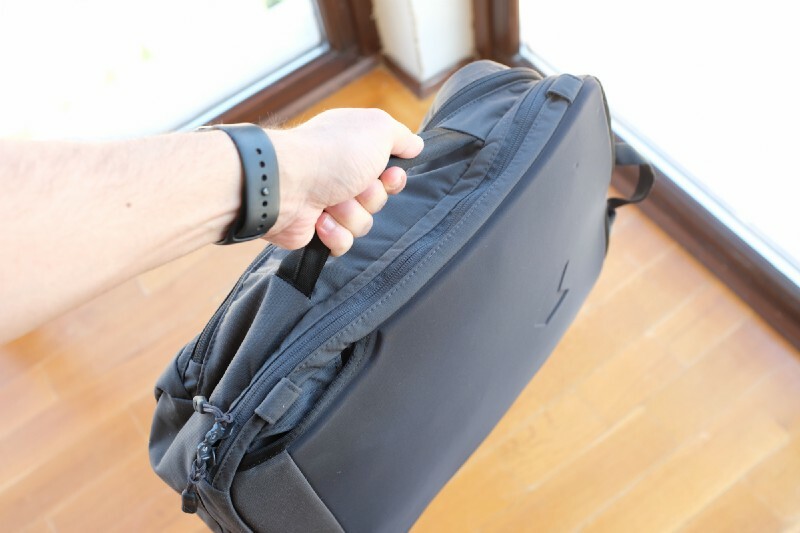 The daily bag has two compartments, one was the big one (which we just talked about) and then there is this slim laptop compartment. This is a place where you put all your flat stuff, such as tablets, laptop, papers, etc.. If you live in the US and fly to somewhere, it’s also very handy feature as you can just open the laptop compartment and laid it out so the TSA officers can inspect it easily. 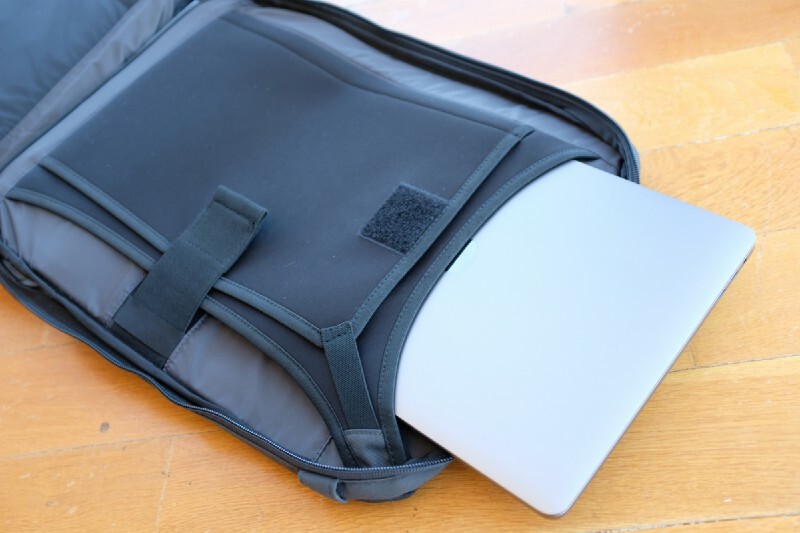 The laptop compartment is one of the smartest designs I’ve seen in a bag. If there is one single thing I most the like about this bag, I would say it’s the laptop compartment. It has two dedicated places to put both your tablet and laptop. This makes it extremely easy to put and get your gadgets. Second it dynamically changes it size according to your laptop size. The laptop compartment has a very slick design, you slip in your laptop both vertically (from top) or horizontally (from the side). You can put a 13″ laptop but it also can carry 15″ as well. And it snugly fits there without wobbling at all due the customizable velcro holders. But it doesn’t end there. 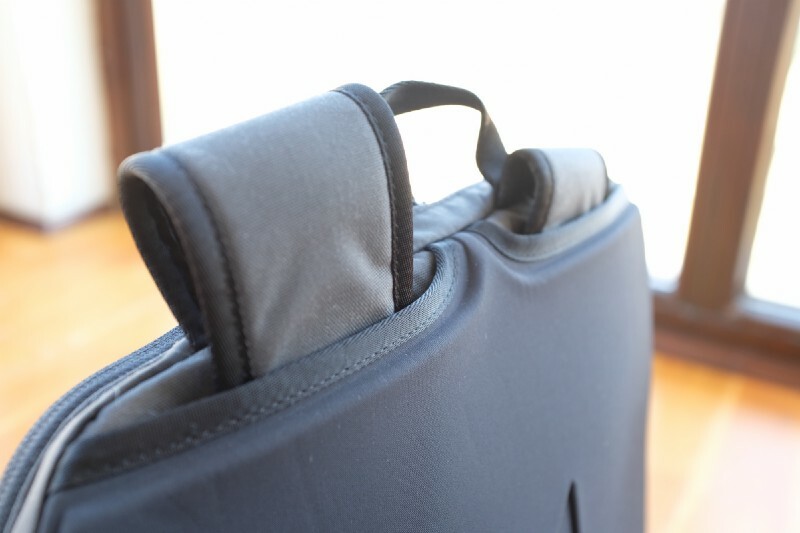 Due the design of the compartment, it protects the laptop even if you accidentally drop it. The laptop compartment is truly a great design. While using it, I’ve definitely appreciated the various kind of usage it provides. This bag has tons of small details that you discover when you need. For example when I was waiting for my flight back to home at the airport last week, I had to leave my stuff for couple of minutes. At that moment I’ve realized that I could basically lock my daily bag! The Minaal Daily bag has lockable sliders integrated into the zippers. Due the design of the zippers it’s possible to lock the whole bag. The zippers include a hole that you can use to lock each one. 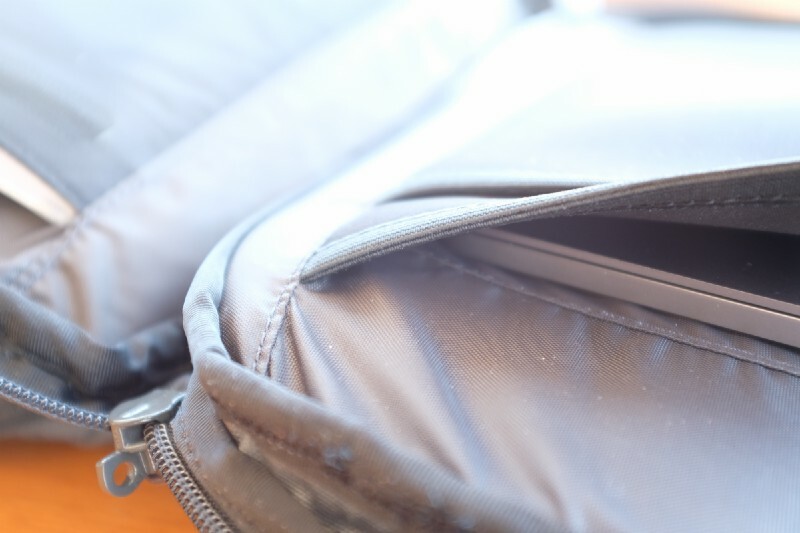 What nice is that both zippers (main and laptop compartment) can be aligned on the same row and then locked together. 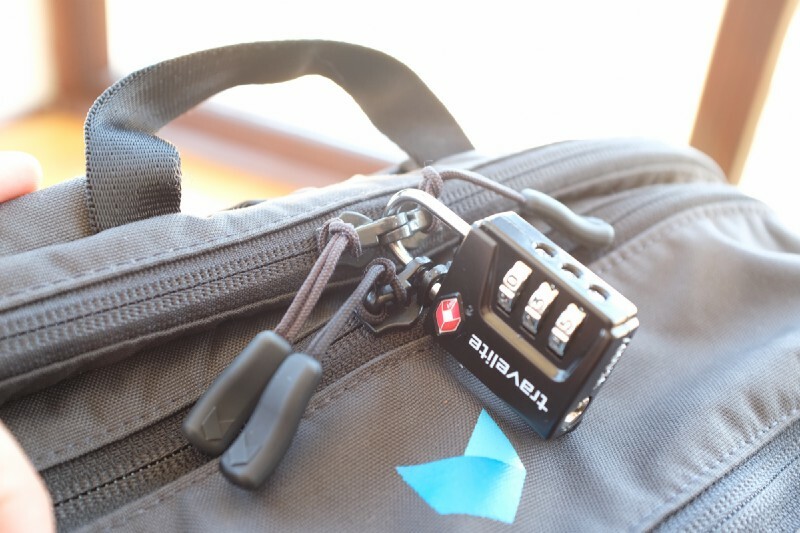 This is really nice because this somehow locks all the content in your bag (expect the outer pocket). Still I think it’s worth it and it’s there if you need it. I said it’s full of features! One of the hidden feature is that it has a secret pocket at the bottom of the bag, when opened it includes a rain cover that you can use to cover the whole bag! This is probably very useful for people who travel in rainy countries with the Minaal Daily Bag as their only bag. However In my case it was not useful at all as it was stealing valuable space from the main compartment. Luckily the rain cover can be removed completely. As said earlier, the Minaal Daily Bag uses a lightweight material. It’s in the perfect middle ground. When you had other heavy backpacks you appreciate the lightness. This also transforms for a comfortable wear. But what other functions and properties has this bag to make it a joy to use (or not?). Let’s start by talking about the different styles of Minaal Daily Bag. The backpack can be used either in briefcase mode, messenger mode or in backpack mode. 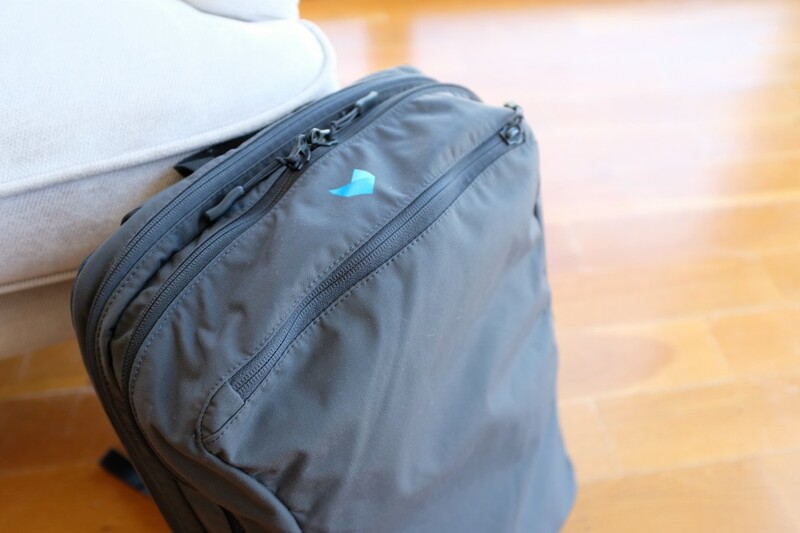 The backpack straps can be stored behind the back of the backpack. If you need them you can grab and pull them out again. This allows you to carry this in various kind of environments. It’s really really nice to to be able to stow away the backpack straps. Sometimes I just feel like I don’t need them at all. While in briefcase mode, there is a nicely padded side handle you can use to carry the bag. I don’t have much to say for the handle itself as it’s really nice to use. The only concern I have though is that, again if the bag is not full, due the way how the handle is attached to the bag, the bag bends in the center if it’s not full. But it’s a very small one (you can see it in the above picture if you look carefully). I think a better way would be having two handles on both sides (like in a duffel bag). This would put stress on both sides and would balance the bag better. 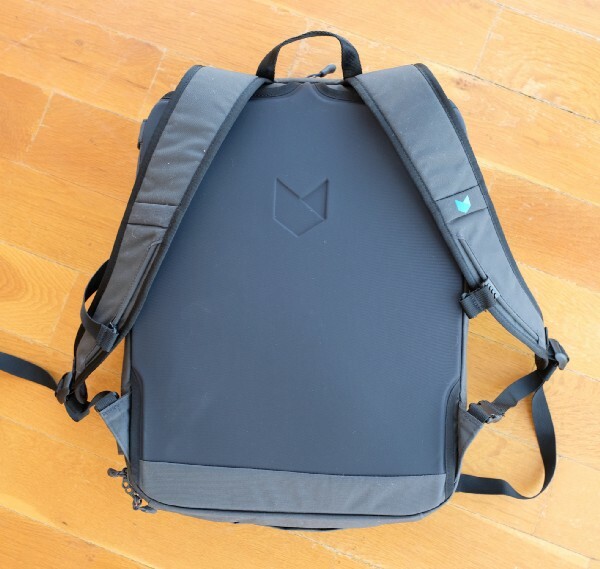 If you have the additionally shoulder strap, you can start using it in messenger mode. 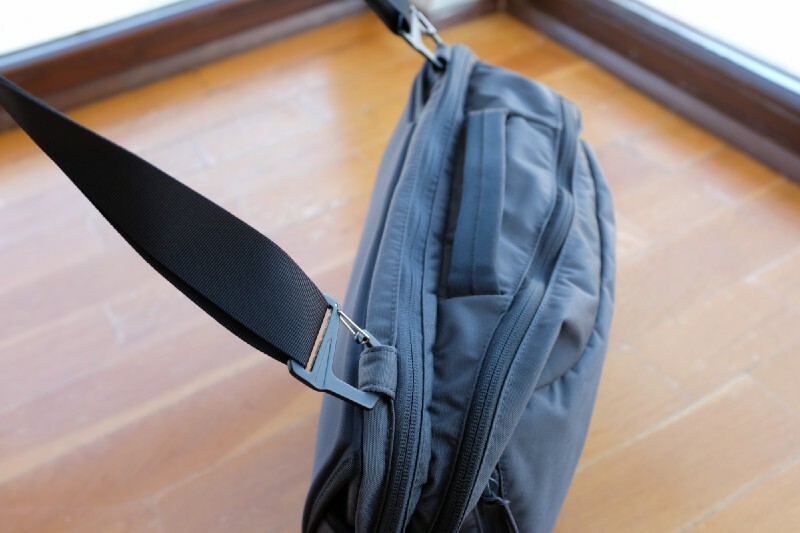 This is handled by attaching the strap to the two holes outside the bag. 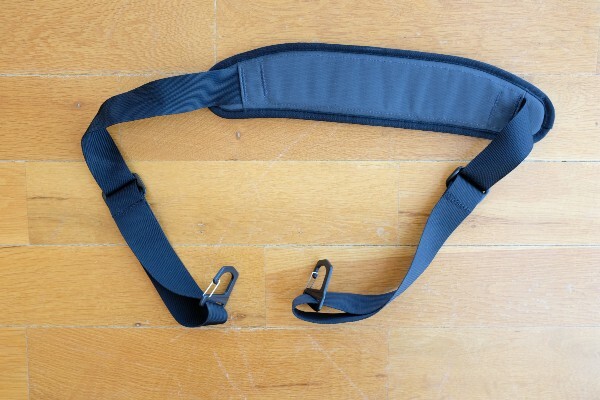 When attached, you can start using by carrying it on your should using the strap itself. I’ve thought I would use this feature a lot, but it didn’t worked out for me at all. There are several reasons. The straps are attached to the end of the back. What this means is that the center of gravity also moved to the back. If you try to carry a bag like this in messenger mode you’ll find that it’s not comfortable at all. The fix is to move those two holes to the middle section of the bag (one line along the side handle). Again a small thing, but worth mentioning. Let me talk about the backpack straps and the back of the bag a little. The backpack straps has sternum straps included, which is a welcome addition. I think they are fairly comfortable. They are very light and doesn’t hurt your shoulder. I believe it’s due the fact that they need to be easily stowed away if needed. Very comfortable to carry. There is though one thing I think could be better here: air ventilation. 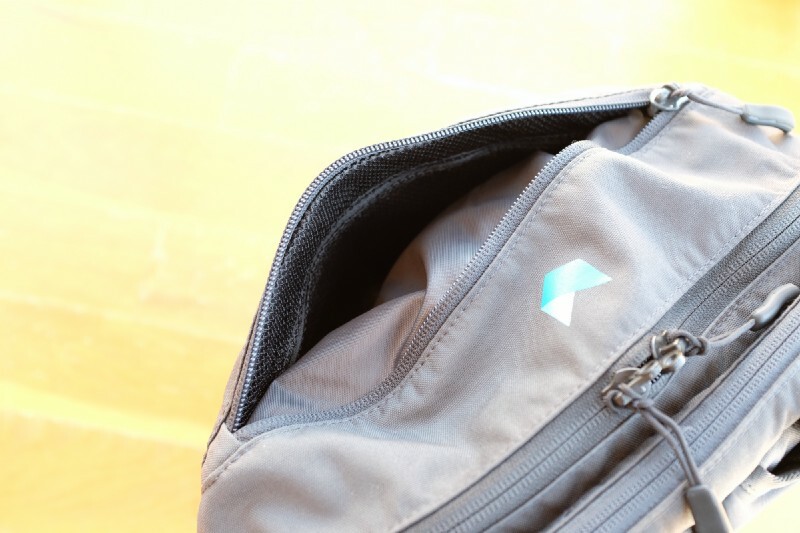 The back of the backpack doesn’t have any kind of holes or mesh texture that allows air to flow behind your back. I thought it’s ok not to have it, but when you start using this for a long time under a sunny weather you start to questioning it. So yes, it’s annoying not to have them when your back is full of sweat. Their other version (the bigger bag) doesn’t have this problem as it’s heavily padded which allows the air to flow. I think that is one of the improvements to make to the daily bag. The Minaal Daily Bag is a futuristic, minimalistic, lightweight bag. It’s very simple and is a flat opening backpack. It’s full of little details and can be also carried as briefcase or messenger. Get it if you like the minimalist look and want to travel light with the minimum (and if the price is ok for you). Don’t get it if you carry a lot small stuff and gadgets and want to use it as EDC (it lacks organization). I think you never will regret buying it. For example I’ve had some purchases I’ve regretted because it just didn’t fit me. But the Minaal is very flexible. Even if some of the details bugs you, others will bring you joy. So it’s all up to how you’re going to enjoy your Minaal Daily Bag!